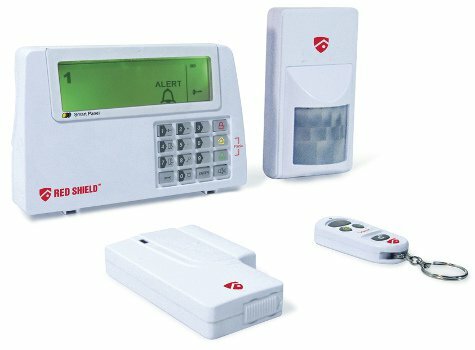 This wire-free alarm systemis a high quality home alarm with user-friendly features that allow you to knowyour home or office is secure at all times. The system is controlled by a SmartPanel which gathers information from wireless sensors placed in variouslocations throughout your home. If the Smart Panel detects a security breach,the system's indicator lights and audible alarms are triggered.